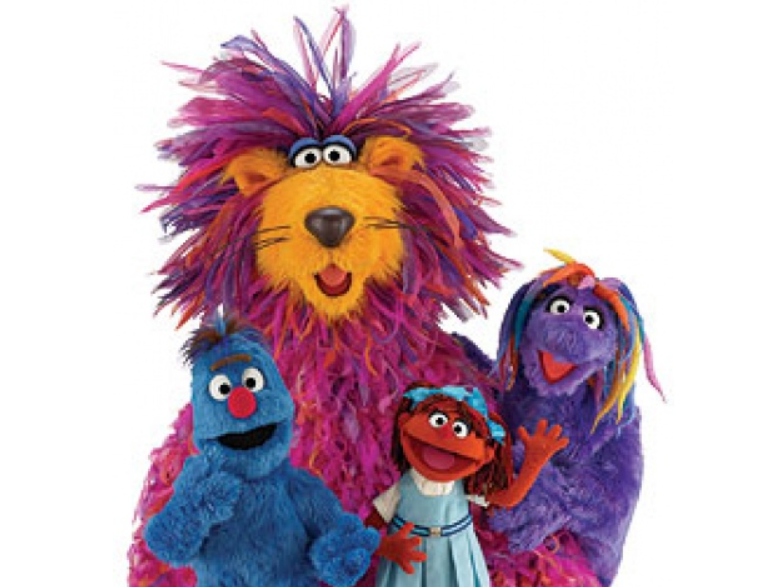 The Muppet cast of Alam Sim Sim – Egypt’s local Co-Production of Sesame Street. I used to work at Sesame Workshop many years ago. Just being part of this company – even as an assistant – was one of the most gratifying experiences I’ve ever had within many years spent working in media. My department was responsible for distributing “Sesame Street” to stations around the world as well as creating local co-productions of the format, tailored for the culture and climate of children’s education in a given country. One of the co-productions I remember is “Alam SimSim”, the version of Sesame Street created for the children and families of Egypt. Each international version of Sesame Street followed a curriculum, much like a faculty in a school would devise the curriculum of a class for the semester of a school year. Local issues would always be folded into the live action films and in studio scenes with the localized versions of Muppet characters created especially for the likability factor within the culture. Girls education was one of the main initiatives of “Alam SimSim”. When it comes to family needs, Egyptian girls are the ones who tend to be pulled out of school over boys to help out with the family if someone dies, or if help is needed to maintain a household. Of course, this happens everyone in the world. Yet, it’s more prevalent within the Egyptian culture. Sadly, in trying to help keep family together during a difficult time, the education so needed to enhance and empower the mind of young girls can be placed in jeopardy. When we hear about the atrocities in countries like Nigeria and the kidnapping of over 200 girls in a school at the hands of Boko Haram, who remain missing today. Girls who are not allowed to go to school. Girls who are treated as pawns in a violent, bloody game. Just look at the remarkable Milala Yousafzai, the Pakistani girl who was shot in the face by the Taliban over her rights to go to school. Thoughts of these young women come to mind when I remember “Alam SimSim” and its initiative. Much like “Rechov SumSum” and “Shara’a SimSim” – The Workshop’s Israeli/Palestinian co-production whose hope was to show peace and common ground among Palestinian and Israeli children, I’m always amazed at the incredible dedication creative people with a mission have in enhancing the lives of children around the world. Whether it’s Michele Obama’s organization “Let Girls Learn” or Sesame Workshop – who was met with de-funding of the “Shara’a SimSim” due to a fight between the UN and Palestinian leaders. That is why I hope to coach writers who never thought they have a voice to speak up and write their story – all in the name of Malala and the girls who disappeared from a classroom at the Government Secondary School in the town of Chibok in Borno State, Nigeria. We all have a voice and a vision. We all have the freedom to write our words. In doing so, we can lead by example. We can help those who cannot write or creative – those who do not have freedom to learn, to grown, to be empowered by education. I’m hoping to take this initiative and bring it all home soon. Categories: Global Education | Tags: Egypt, Girls Education, Sesame Street | Permalink.